IMPORTANT NOTICE: The entrance to the June Kelly Gallery has been moved to 166 Mercer Street. The entrance at 591 Broadway is closed. The gallery remains where it has been on the third floor since 1987. We look forward to seeing you. 3 paintings by gallery artist Kay WalkingStick are featured in Landscape Painting Now: From Pop Abstraction to New Romanticism with essay by Barry Schwabsky and edited by Todd Bradway. It is a global survey of landscape painting in the 21st century. The book is beautifully illustrated. The publisher is Thames & Hudson Ltd., New York. See image here. Gallery artist Julio Valdez will be one of the artists officially representing the Dominican Republic at the Venice Biennale, 58th International Art Exhibition that opens Friday, May 11, 2019. The exhibition will remain on view through Sunday, November 24, 2019. The venue is Palazzo Albrizzi Capello and the title of the exhibition is Nature and Biodiversity in the Dominican Republic. The artist will have one large painting in the exhibition. See image here. Gallery artist Rebecca Welz has been invited to teach a two-week international design workshop at the Shanghai Institute of Visual Arts from February 25 to March 8, 2019. Rebecca, a professor at Pratt Institute will have 30 design sophomores for the workshop. She will also give a talk on her work and projects in Antigua and Guatemala. Shanghai Institute of Visual Arts was founded in 2005 and is the only comprehensive visual art college in Shanghai, China. It has more than 300 full-time teachers and 4,000 students. Gallery artist Karin Batten has been awarded a Pollock-Krasner Foundation Grant. The Pollock-Krasner Foundation was established in 1985 for the sole purpose of providing assistance to individual visual artists of established ability through the generosity of the late Lee Krasner, one of the leading abstract expressionist painters and the widow of fellow painter Jackson Pollock. Philemona Williamson: Selected Works by gallery artist Philemona Williamson opens at Drumthwacket, the official New Jersey governor’s residence and a nationally landmarked historic site in Princeton, New Jersey. The opening is January 23 and the paintings will remain on view through May 1, 2019. Robyn Brenner Executive Director of the Drumthwacket Foundation is curator of the exhibition. The Drumthwacket Foundation offers cultural and educational programs that recognize the rich diversity of New Jersey’s communities and residents. A brochure accompanies the exhibition. 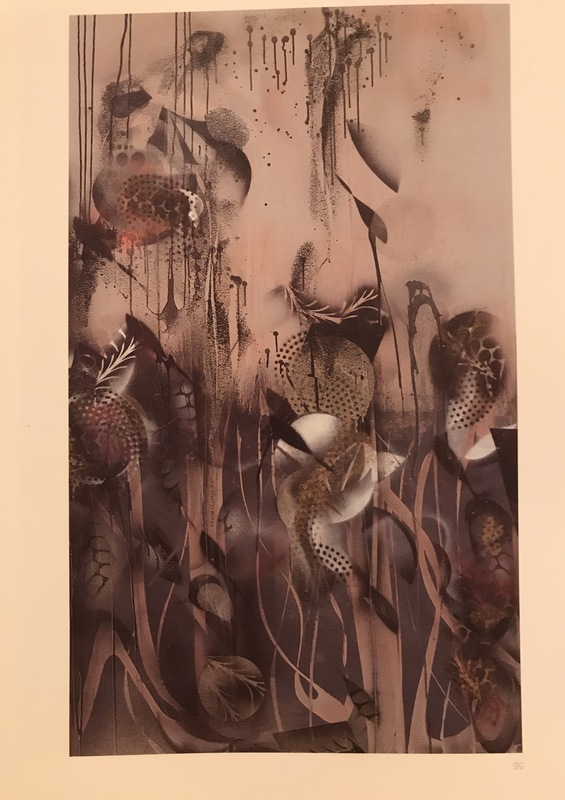 On December 18, 2018, the Birmingham Museum of Art purchased Over Lolo Pass, 2003, charcoal, gouache and encaustic on paper, 25 x 50 inches by gallery artist Kay WalkingStick for their permanent collection. See image here. Gallery artist Claudia DeMonte and her artist husband Ed McGowin have donated over 100 works of art by self-taught artists to the Mississippi Museum of Art. The works come from their personal collection of sculptures, paintings, and assemblages, including works by Bill Traylor, Howard Finster, Lonnie Holley, James Harold Jennings, Mose Tolliver, and others. Over a period of 25 years, Claudia and Ed drove thousands of miles, around the backroads of the United States — particularly in the American South — in their desire to meet folk artists. They were interested in the creative process as it relates to self-taught artists. With few exceptions, they met most of the artists whose work they acquired and they feel that the collection contains extraordinary examples of this group of works. It is not a survey of folk art but the result of a personal quest to understand art-making that these artists embodied. 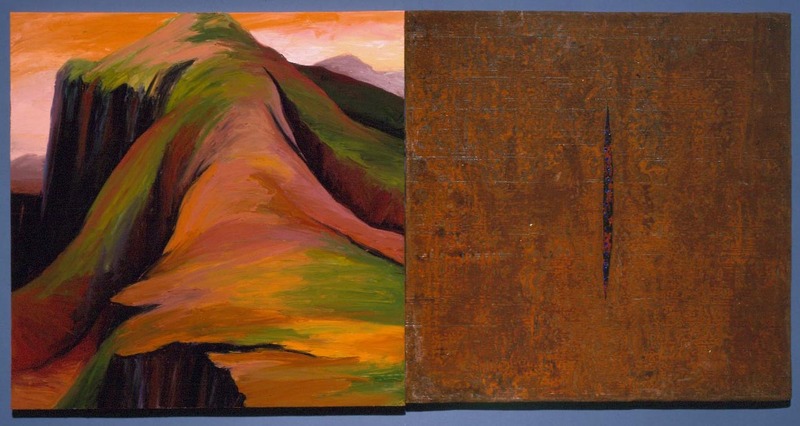 On November 27, 2018, the Minneapolis Institute of Art purchased the painting Venere Alpina, 1997, oil on canvas, diptych, 32 x 64 inches by gallery artist Kay WalkingStick for their permanent collection. See image here. Gallery artist Kay WalkingStick is included in the upcoming exhibition Spilling Over: Painting Color in the 1960s that will open at the Whitney Museum of American Art in March 2019. Drawn entirely from the Whitney’s collection, the exhibition includes important recent acquisitions by Kay WalkingStick and Emma Amos, as well as works by Helen Frankenthaler, Sam Gilliam, Marcia Hafif, Ellsworth Kelly, Morris Louis, and Bob Thompson. The title of the exhibition is taken from a quote by Thompson, who shortly before his death in 1966 said, “I paint many paintings that tell me slowly that I have something inside of me that is just bursting, twisting, sticking, spilling over to get out. Out into souls and mouths and eyes that have never seen before.” Spilling Over demonstrates why and how painting could still matter for artists who wanted to see anew. The exhibition is organized by David Breslin, DeMartini Family Curator and Director of the Collection, with Margaret Kross, curatorial assistant. The exhibition Inclusive Moments-Selected Works by gallery artist Bruce Dorfman highlights the formative periods in the artist remarkable career, which has spanned more than five decades. The exhibition is at the Art Students League of New York and runs through January 5, 2019. 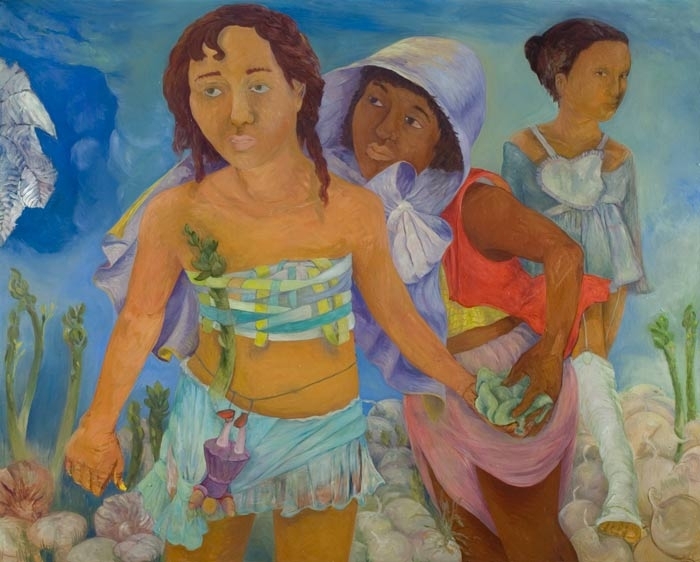 Dorfman studied at the Art Students League with Yasuo Kuniyoshi, Arnold Blanch and Charles H. Alston. He is a graduate of the University of Iowa, where he studied with Stuart Edie, Mauricio Lasansky and art historian Roy Seiber. Gallery artist Bruce Dorfman was included in the exhibition The Masters: Art Students League Instructors and Their Students that celebrated the contribution of the Art Students League teachers and students from the late nineteenth century through the present. The League’s (Phyllis Harriman Mason Gallery) presented works from the last years of the twentieth century through today. These included past and present teachers Bruce Dorfman (student of Yasuo Kuniyoshi), Naomi Campbell (student of Nelson Shanks), Bob Cenedella (student of George Grosz), Stephen Greene (student of Morris Kantor), Ronnie Landfield (student of Stephen Greene), Pat Lipsky (student of Charles Alston), Knox Martin (student of Morris Kantor), Cornelia Foss, Richard Pousette-Dart), Zhang Hongtu (student of Richard Pousette-Dart), Abby Leigh (student of Will Barnet), and Susan Weil (student of Morris Kantor). The exhibition opened November 1 and continued through December 1, 2018. 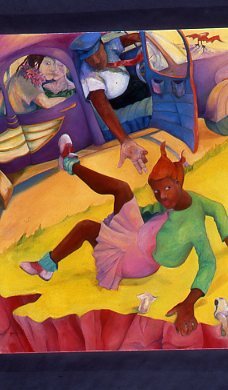 On June 13, 2018, the Kalamazoo Institute of Arts purchased the painting Tender Breeze, 2008 oil on linen, 48 x 60 inches by gallery artist Philemona Williamson for their permanent collection. See image here. Gallery artist Kay WalkingStick was elected to membership in the National Academy of Design in New York City. The Academy was established in 1825 and has honored more than 2,300 of the leading artists and architects in the country. It is a professional honorary member organization that represents some of the most distinguished practitioners in their respective fields. The National Academicians are professional artists and architects who are elected to membership by their peers annually. Gallery artist LeRoy Henderson is featured in "Lens: Photographing Ordinary Life in Passing," by Antwaun Sargent of The New York Times. As Henderson says, "I have dedicated myself to showing the range of experiences of ordinary people, where the everyday is frozen in black-and-white, as the dramas of race, religion, social change and a day’s work play out in the frames. The article can be read here. Gallery artist Kay WalkingStick is the recipient of the 2018 Murray Reich Distinguished Artist Award which is presented by the New York Foundation for the Arts (NYFA). The award is given to provide resources to mature and established visual artists with a long history of creative practice. This award comes with a prize of $12,000.00. Art critic Holland Cotter of The New York Times writes that “Kay WalkingStick: An American Artist,” now on view at the Montclair Art Museum until June 17, is more than a look at a life of labor. It’s also a record of contingent lives, cultural changes and a political passage in time. Yet what powers the chronologically arranged show, first and last, is the personal: the sense it gives of one worker growing, changing, faltering, then growing and changing more. The review can be read here. 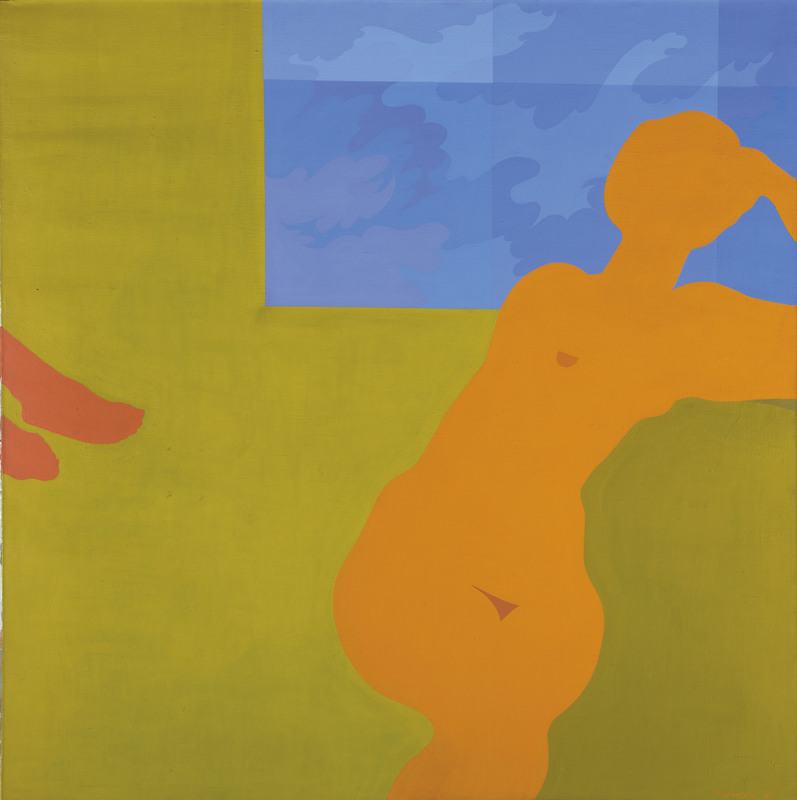 On May 1, 2018, The Whitney Museum of American Art purchased the painting April Contemplating May, 1972, acrylic on canvas, 50 x 50 inches by gallery artist Kay WalkingStick for their permanent collection. See image here. The exhibition Slants and White Paintings by gallery artist James Little is reviewed in the May issue of FROM THE MAYOR’S DOORSTEP. Art critic Piri Halasz writes that “His current show of 12 paintings has six “white paintings” and six “slants.” All were obviously very complex in concept, yet work out being to amazingly simple in effect and more rather than less rewarding to contemplate.” The review can be read here. The exhibition Slants and White Paintings by gallery artist James Little is reviewed in the May issue of The New Criterion. Critic James Panero writes that “There is nothing embalmed in James Little’s use of wax. A master of the volatile medium of encaustic, Little creates living, breathing abstractions of oil and wax on canvas." The review can be read here. Gallery artist LeRoy Henderson is featured in New York Today: Documenting Protest by Derek M. Norman of the New York Times. The article chronicles Henderson career as a protest documentarian. As Henderson says, “There’s a double-duty,” I attend demonstrations as both a citizen and a documentarian, “because you’re there and want to be a part of these things, but you need to be selective in what you shoot.” Presenting a stark reminder of how the past repeats itself, Henderson says, “we can’t see the future but with photographic images we can certainly see the past. The article can be read here. Gallery artist Bruce Dorfman was included in the “Artistic Vanguard: The 1960s and the Art Students League exhibition that opened January 11 and runs through January 19. The exhibition at the Art Students League coincided with Carnegie Hall’s music festival The 60s: The Years that Changed America, January 14-March 24, 2018. 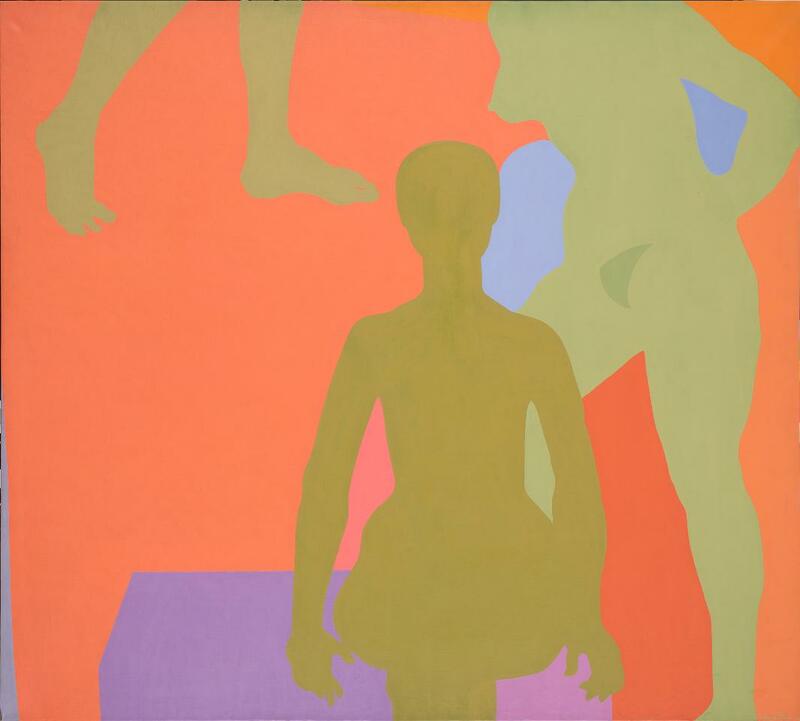 The 1960s was in many respects a watershed decade for American painting. The innovations of the Abstract Expressionists such as Jackson Pollock, Barnet Newman, and Mark Rothko, which captured international attention during the 1950s, propelled the next generation of abstract painters in a variety of different directions. While Art Student League instructors such as Charles Alston, Richard Pousette-Dart, and Theodoros Stamos continued experimenting with elements of Abstract Expressionism, younger artists such as Bruce Dorfman, Helen Frankenthaler, Peter Golfinopoulos, Stephen Greene, Paul Jenkins, Ronnie Landfield, Larry Poons, and Peter Reginato, was engaged with alternative movements including color field painting, lyrical abstraction, pop art and assemblage. This exhibition examines the contributions of League artists to new developments in American painting during this pivotal period. See image here. The painting, Double Exposure, 2008, oil and wax on canvas, 39 x 50 inches by gallery artist James Little is featured on the cover of the Saint Louis Art Museum Winter 2018 Bulletin. The painting is included in the recent major gift of 81 works by New Jersey collector Ronald Ollie and his wife Monique Ollie. The collection is in memory of his parents Thelma and Bert Ollie. The image can be seen here. On November 29, 2017, The Montclair Art Museum purchased the painting Shore Road, Magnolia, Mass, 1989, oil on linen, 60 x 48 inches by gallery artist Philemona Williamson for their permanent collection. See image here. On October 5, 2017, The Newark Museum purchased the painting Me and My Neon Box, 1971, acrylic on canvas, 54 x 60 inches by gallery artist Kay WalkingStick for their permanent collection. See image here. Gallery artist Philemona Williamson is having her first major museum solo exhibition, Philemona Williamson: Metaphorical Narratives at the Montclair Art Museum, New Jersey from September 15, 2017 through January 6, 2018. A catalogue accompanies the exhibition. with an essay by the chief curator Gail Stavitsky. The painting Me and My Neon Box, 1971, acrylic on canvas, 54 x 60 inches by gallery artist Kay WalkingStick is featured in the article, “Art Warriors and Wooden Indians,” in the October 2017 issue of Art in America. The article was written by Kathleen Ash-Milby, associate curator at the National Museum of the American Indian in New York, pp. 58-63. The image can be seen here. The exhibition Orbs and Angles (May 2017) by gallery artist Nola Zirin is reviewed in the September issue of Whitehot, an online magazine. Critic Jill Conner writes, "Zirin’s paintings countered the assumption that abstract art is both static and stationary. Her investigations of prism-like surfaces reflect the tension that lies between space and time. These new compositions do not play so much with depth but, instead, present weighty, monumental atmospheres that are expressed through the artist’s delineation of color. As seen in her previous exhibition titled “Stardust,” the paintings on view in “Orbs and Angles” continued to show Zirin’s characteristic layering technique. The review can be read here. 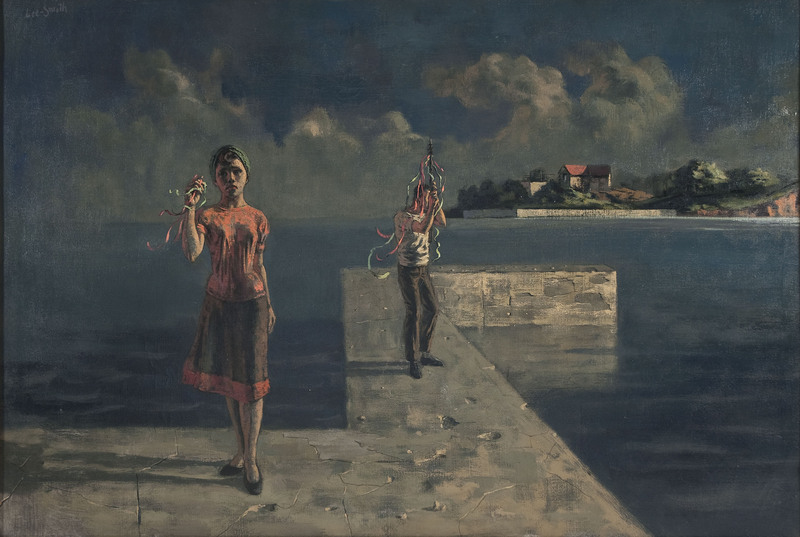 The Virginia Museum of Fine Arts has acquired a masterpiece by Hughie Lee-Smith (1915-1999) titled Absence of Gaiety, ca. 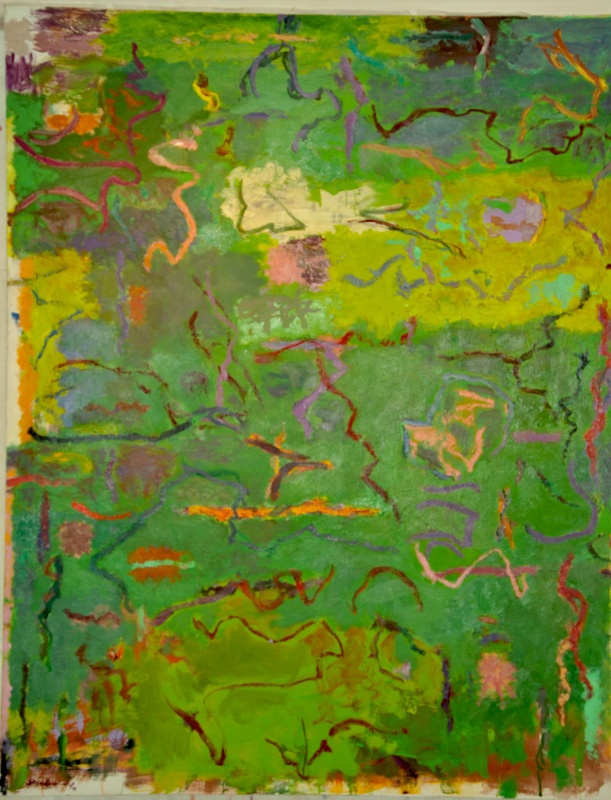 1962, oil on canvas, 34 ¼ x 50 ½ inches for their permanent collection. It is a classic Lee-Smith that is haunting, staying long in the mind’s eye. See image here. The Smithsonian’s touring retrospective “Kay WalkingStick: An American Artist,” was featured in Sunday’s New York Times, Arts&Leisure, The New Season/Art: For the Fall and Beyond. This fall will offer the last chance to catch “Kay WalkingStick: An American Artist,” the superb touring retrospective of the painter who has put her Cherokee identity at the center of her art, and made that identity specific and capacious. The last stop on its tour is the Montclair Art Museum (Feb. 3–June 17). The Taoxichuang Art Museum of China Central Academy of Fine Art has acquired the painting "Forest," 2016, oil and glitter on canvas, 60 x 40 inches by gallery artist Nola Zirin for their permanent collection. Zirin was included in the group exhibition, Sculpture Dimensions--Sino-USA Art Exchange Exhibition that opened June 5 and ran through July 30, 2017 in Jingdezhen, China. It was curated by Lily Zhang Candler, Wang Chunchen and Richard Vine. The image can be seen here. 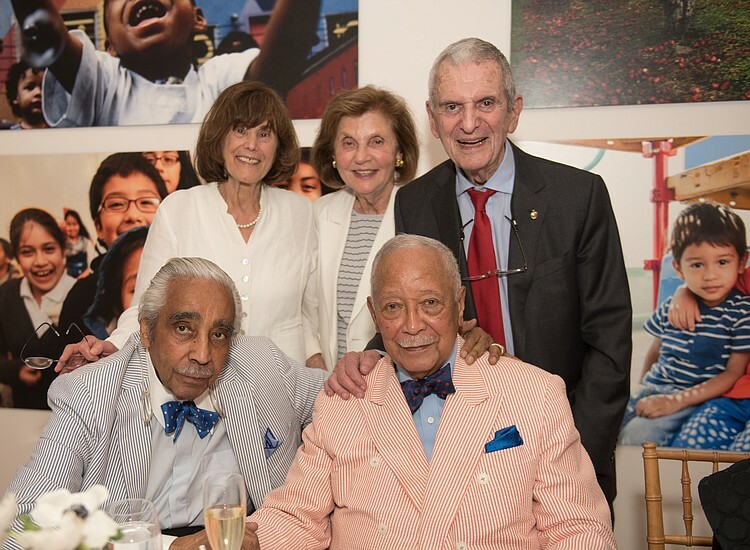 On Thursday, June 15, 2017, a private dinner celebrating the 90th birthday of former Mayor David Dinkins was hosted at the June Kelly Gallery as a fundraiser for ABC (Association to Benefit Children and Families). Guests included New York’s legendary congressman Charles Rangel, Howard Rubenstein, Ed Lewis, Cecily Tyson, fashion designer B. Michael, members of the board and photographer Nicole Buchenholz whose works were displayed. All proceeds from sale of the photographs benefited the organization. See photo here. The Art & Architecture Collection of The Miriam and Ira D. Wallach Division of Art, Prints and Photographs of the New York Public Library has requested all of the gallery’s materials (catalogues, press releases and invitations) to build a compendium of gallery ephemera. 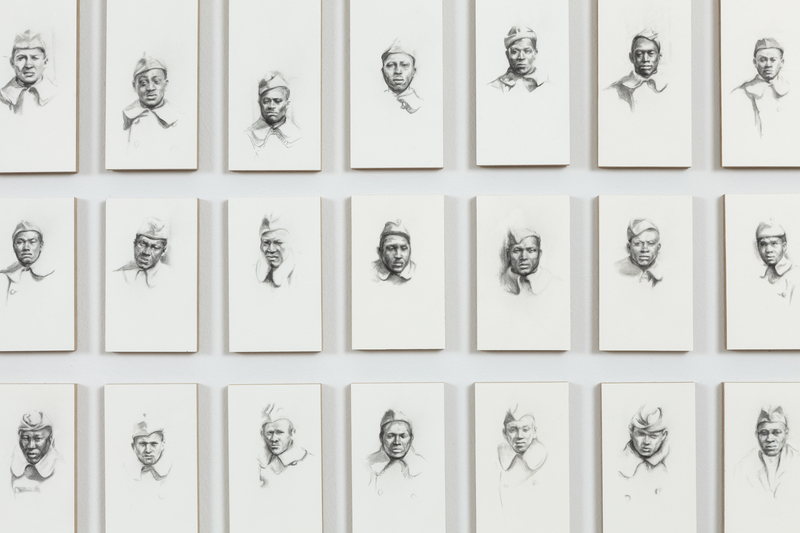 A detail of somewhere listening : Company B, 365th Infantry Regiment, 92nd Division, A. E. F. 1918-1919, 2014, charcoal pencil on Arches paper, mounted on board, installation of 212 panels measuring 28 x 294 inches by gallery artist Debra Priestly was highlighted in The New York Times on page C23, Friday, May 26, 2017. The exhibition, World War I, Beyond the Trenches can be seen at The New York Historical Society from May 26 to September 3, 2017. The image can be seen here. Gallery artist Nola Zirin is included in the group exhibition, Sculpture Dimensions--Sino-USA Art Exchange Exhibition that opens June 5 and runs through July 30, 2017 in Jingdezhen, China. The exhibition features works by seven American artists (Yaacov Agam, Serena Bocchino, Chakaia Booker, Elizabeth Murray, Thomas Nozkowski, Nancy Spero and Nola Zirin) and eight Chinese artists (Mu Boyan, Jin Feng, Cao Hui, Xiao Li, Sun Lu, Xiu Xiaonan, Li Zhan and Huang Zhen). The exhibition is organized by the Taoxichuang Art Museum of China Central Academy of Fine Art, the Sculpture Department of China Central Academy of Fine Art and Guarsh Art New York. It is curated by Lily Zhang Candler, Wang Chunchen and Richard Vine with essays by Jonathan Goodman and Lv Pin-chang. See Zirin’s image here. The Bruce Dorfman: Past Present catalogue, designed by Karen Bright has won the “Gold Hermes International Creative Award.” The catalogue in a limited edition, numbered and signed was published on the occasion of the artist’s recent exhibition at Monmouth University, September – December 2016. The Hermes Creative Awards is an international competition for creative professionals involved in the concept, writing and design of traditional materials and programs, and emerging technologies. Where We Are: Selections from the Whitney’s Collection, 1900 -1960 opens April 28, 2017. The exhibition features work by gallery artist Elizabeth Catlett, Edward Hopper, Jasper Johns, Jacob Lawrence, Isamu Noguchi, Georgia O’Keeffe, and many others. The exhibition focuses upon a tumultuous period in the history of the United States when life in the country changed drastically due to war, economic collapse, and demands for civil rights. Artists responded in complex and diverse ways, and the exhibition honors their efforts to put forward new ways of presenting the self and American life. It is organized by David Breslin, DeMartini Family Curator and Director of the Collection, with Jennie Goldstein, assistant curator, and Margaret Kross, curatorial assistant. The Art in Embassies program has purchased the painting The Difference between Then and Now, 2010, oil and wax on canvas, 72 x 94 inches by gallery artist James Little for the N’Djamena collection in Chad, Central Africa. The Art in Embassies program was established within the United States Department of States in 1964 by President John F Kennedy and his wife Jacqueline Kennedy, and has played a leading role in fostering public diplomacy through the visual arts. The installation can be seen here. The University of Iowa has purchased Totem, 2007, black marble, 31 ¾ x 8 x 7 ¼ inches by gallery artist Elizabeth Catlett for its Elizabeth Catlett Residence Hall. It will be installed the fall 2017. In 1940, Elizabeth Catlett became one of the first three MFA graduates from the University of Iowa and was the first African American woman to receive the degree. The image can be seen here. The exhibition, Creative Flux: Recent Paintings, by gallery artist Sandra Lerner opens at the Gutman Gallery, Harvard Graduate School of Education, Cambridge, MA on April 1 and will remain on view through May 4, 2017.
somewhere listening: Company B, 365th Infantry Regiment, 92nd Division, A. E. F. 1918-1919, 2014, charcoal pencil on Arches paper, mounted on board, 212 panels measuring 28 x 294 inches by gallery artist Debra Priestly was purchased by the Pennsylvania Academy of the Fine Arts for their permanent collection. The installation was exhibited in her 2014 exhibition at the gallery. The image can be seen here. The exhibition Woven in Time by gallery artist Joan Giordano is reviewed in the March 2017 issue of Sculpture Magazine. The reviewer Thalia Vrachopoulos writes, "since Giordano's works are unbridled by convention in their use of materials, her message comes through forcefully, embedded into multilayered palimpsests of form and content, history and contemporaneity." The review can be read here. Gallery artist Rebecca Welz is included in the exhibition The New Mimesis that opened February 10 and runs through April 16, 2017. The collaborative exhibition was organized by Nurture Nature Center and SciArt Center and features 17 artists whose works focuses on the visual expression of the theme of Biomimicry. It was curated by Julia Brennan and Julia Bontaine of the SciArt Center in Easton, PA. See image here. Gallery artist Philemona Williamson is included in the exhibition, Converging Voices: Gender and Identity, that opens May 2 and runs through December 15, 2017. The exhibition curated by Karen T. Albert, Hofstra University Museum deputy director and chief curator, focuses on issues of gender and identity, reflecting an international scope and featuring artists such as the Guerrilla Girls, Carrie Mae Weems, Marian Ghani, Yee l-Lann and others. The exhibition is in association with the 17th Berkshire Conference on the History of Women, Genders, and Sexualities to be held at Hofstra University June 1-4, 2017. See image here. 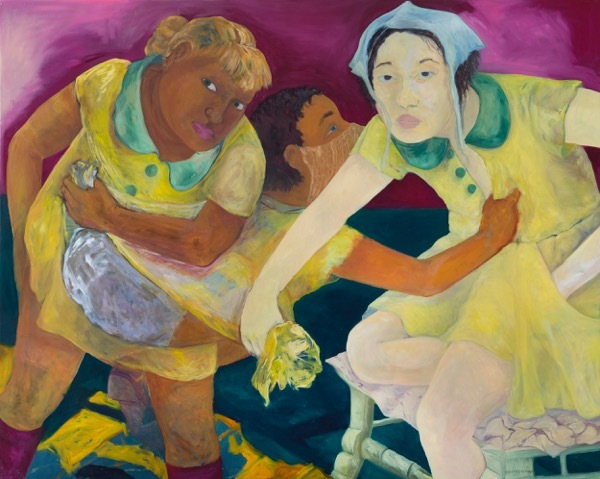 The exhibition, "The Beautiful Somewhere: The Art of Philemona Williamson," opens at the Sonja Haynes Stone Center for Black Culture and History at the University of North Carolina at Chapel Hill on January 26 and will be on view through April 24, 2017. Guest curator is Dr. Arturo Lindsay, former Professor Emeritus and former Chair of the Department of Art and Art History at Spelman College. A brochure accompanies the exhibition. The retrospective Kay WalkingStick: An American Artist has been chosen by “Hyperallegic” as one of the Best 2016 Top 15 exhibitions Across the United States. The article can be read here. Newsroom, Other Stories and Soto Voce by gallery artist Joan Giordano has been selected by the Museum of Contemporary Art of Crete, Greece for their permanent collection. See an image here. Gallery artist Bruce Dorfman has received an individual grant from the Pollock-Krasner Foundation for 2017. 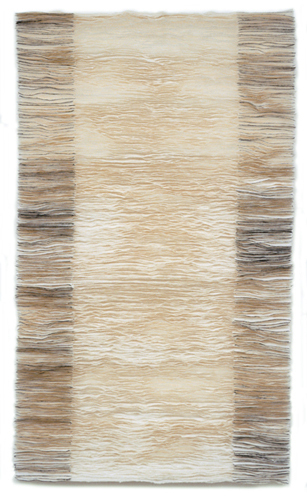 "Four Directions/Stillness," 1994, acrylic, wax and oil on canvas, 32.25 x 72.75 by gallery artist Kay WalkingStick has been purchased by the Virginia Museum of Fine Arts for their permanent collection. The Beinecke Rare Book & Manuscript Library of Yale University has purchased 12 of gallery artist Sarah Plimpton’s artist's books that were produced at the Grenfell Press in New York City. Sarah has work at Grenfell Press since 1993. The library is the largest building in the world dedicated to the containment and preservation of rare books, manuscripts, documents and artist’s books. Gallery artist Sandra Lerner is the subject of an in-depth article, The Particle and the Wave: Sandra Lerner's Metaphysical Landscapes, Taoism, and the Calligraphic Impulse in the fall/winter 2016 issue of the “Woman’s Art Journal.” The article was written by Aliza Edelman and published under the auspices of Rutgers University’s department of Art History. The editors are Joan Marter and Margaret Barlow. The Woman’s Art Journal is a feminist art history journal that focuses on women in the visual arts and serves as a forum for critical analysis of contemporary art issues as they relate to the women’s art movement and art worldwide. The article can be read here. The University of Iowa, the Board of Regents and the State of Iowa have approved the naming of a new residence hall in honor of Gallery artist Elizabeth Catlett, an alumna of the school. The opening of the Elizabeth Catlett Hall is 2017. In 1940, Elizabeth Catlett became one of the first three MFA graduates from the University of Iowa and was the first African American woman to receive the degree. She would become one of the most important American sculptors and printmakers of the 20th century. 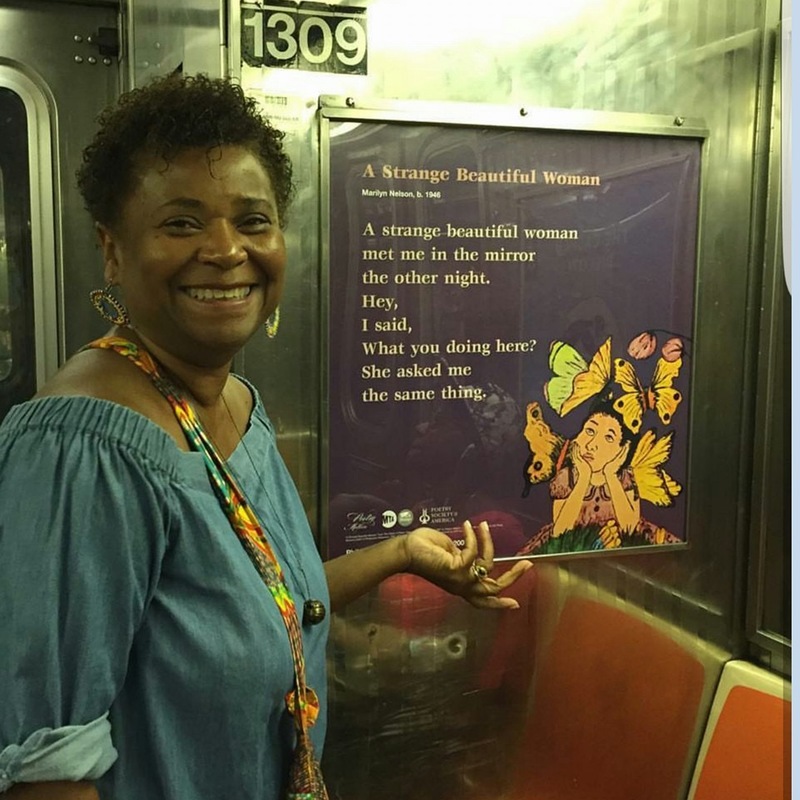 Seasons, a work by Gallery artist Philemona Williamson is being showcased along with the poetry of Marilyn Nelson, A Strange Beautiful Woman, as part of this year’s Metropolitan Transit Authority’s 2016 Poetry in Motion subway series beginning in August. See image here. Gallery artist Bruce Dorfman will have a retrospective exhibition titled PAST PRESENT Paintings and Drawings in Combined Media at Monmouth University, West Long Branch, New Jersey. It opens September 6 and will be on view through December 18, 2016. A catalogue accompanies the exhibition. Gallery artist LeRoy Henderson, a native of Richmond, Virginia is the subject of an in-depth article, Life Through the Lens, written by Samantha Willis in the July 10th issue of the "Richmond Magazine." Willis writes, Henderson’s images provoke, inspire and reflect who we really are. The article can be read here. 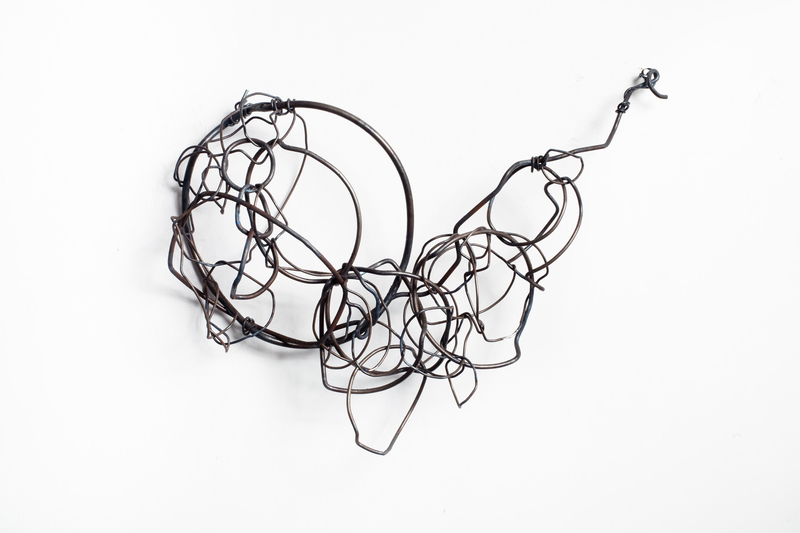 Gallery artist Bruce Dorfman is included in the exhibition, Ways and Means: a new look at process and materials in art. The exhibition was organized by Norte Maar and curated by Jason Andrew. The exhibition also includes works by Chakaia Booker, Robert Moskowitz, Dorothea Rockburne, Richard Serra and others. It opens July 18 at 1285 Avenue of the Americas Gallery and runs through October 7, 2016. A review of the exhibition by James Panero of The New Criterion can be read here. 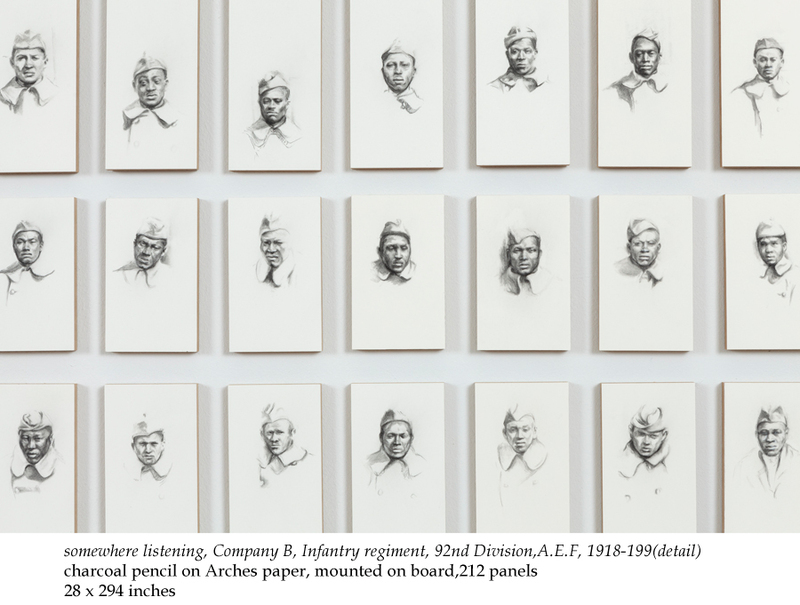 Gallery artist Debra Priestly’s installation, somewhere listening: Company B, 365th Infantry Regiment, 92nd Division, A. E. F. 1918-1919, 2014, charcoal pencil on Arches paper, mounted on board, 212 panels, measuring 28 x 294 inches, is included in the landmark exhibition "World War I and American Art” at The Pennsylvania Academy of the Fine Arts, Philadelphia. This exhibition will be on view from November 4, 2016 through April 9, 2017. It will travel to the New York Historical Society (May-September 2017) and the Frist Center for the Visual Arts (October 2017-January 2018). The exhibition is organized by PAFA and team curated by Dr. Robert Cozzolino, PAFA’s senior curator and curator of Modern Art; Dr. Anne Knutson, an independent scholar and curator; and Dr. David Lubin, the Charlotte C. Weber Professor of Art at Wake Forest University. It is the first major museum exhibition to revisit this unprecedented global event through the eyes of American artists. See image here. Gallery artist Kay WalkingStick and others were highlighted in The New York Times for their varied messages to the graduates of the class of 2016. The statements can be read here. Gallery Artist Rebecca Welz will show several of her sculptures in a group show titled Sally’s Party at the Cherry Stone Gallery in Wellfleet, MA. The exhibition also includes works by Berenice Abbott, Eugene Atget, Jasper Johns, Robert Motherwell and others. It opens July 19 and runs through September 13, 2016. Gallery artist James Little is included in the exhibition, “Lumières Du Monde” (Light of the World), at the Museum of Stained Glass, Chartres, France, an exhibition of 300 18 x 18 inch stained glass windows created by 280 artists from five continents who were invited to submit work. The exhibition is on view from April 23, 2016, through October 28, 2017, and was organized by the Centre International du Vitrail, de las Compagnie de Saint Gobain in collaboration with des Ateliers Glasmalerei Peters, Paderborn, Germany. A 600-page book on contemporary stained glass, “World Enlightenment” will accompany the exhibition. See image here. Gallery artist Carmen Cicero has won the coveted Jacob Lawrence Award for outstanding achievement in the visual arts from the American Academy of Arts and Letters. He is also an exhibitor in The Academy’s Invitational Visual Arts exhibition at 633 West 155th Street. The exhibition continues through July 10. Gallery artist Kay WalkingStick will give the commencement address and will receive an Honorary Doctorate of Fine Arts at Pratt Institute’s 126th Commencement Ceremony at Radio City Music Hall on May 17, 2016. 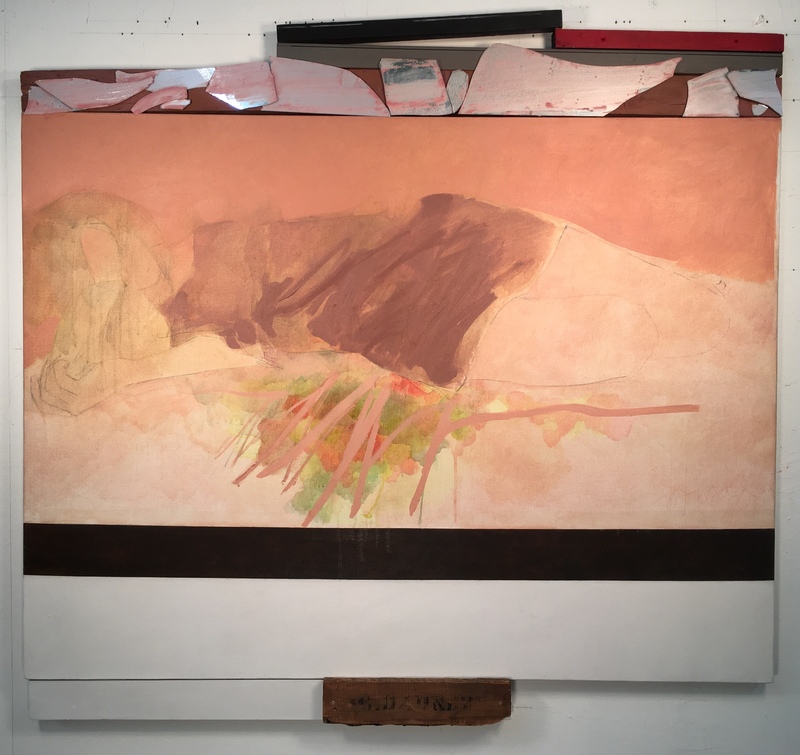 WalkingStick, who is a Pratt graduate, is currently exhibiting seven of her recent paintings in the office of Pratt President Dr. Thomas Schutte through May 17. The exhibition of new paintings by Gallery artist Sarah Plimpton is reviewed in the February issue of the Brooklyn Rail. Critic Mary Ann Caws writes that, what is certain about these paintings is the way each of them solicits a different reaction from the onlooker: you cannot help but feel involved in the space, in its dark surrounding, and in what makes its way through. And, no less, your way, if you commit yourself to this black light. “I will be there,” says the artist. Yes, she will. The review can be read here. Gallery artist Kay WalkingStick has been invited to speak at The Metropolitan Museum of Art on March 18 as part of the opening festivities to mark the museum’s historic expansion into the Met Breuer, formerly the Whitney Museum of American Art on Madison Avenue and 75th Street. WalkingStick will give two nine-minute talks in the museum’s American Wing on Fifth Avenue, the first at 6 p.m., and the second at 6:30 p.m.
A drawing by Gallery Artist Nola Zirin, Architectural Fragments, 1993, mixed media on blue-toned Italian paper, 30 x 22 inches, is included in the exhibition entitled “You Go Girl! Celebrating Women Artists,” at the Heckscher Museum of Art, Huntington, New York. 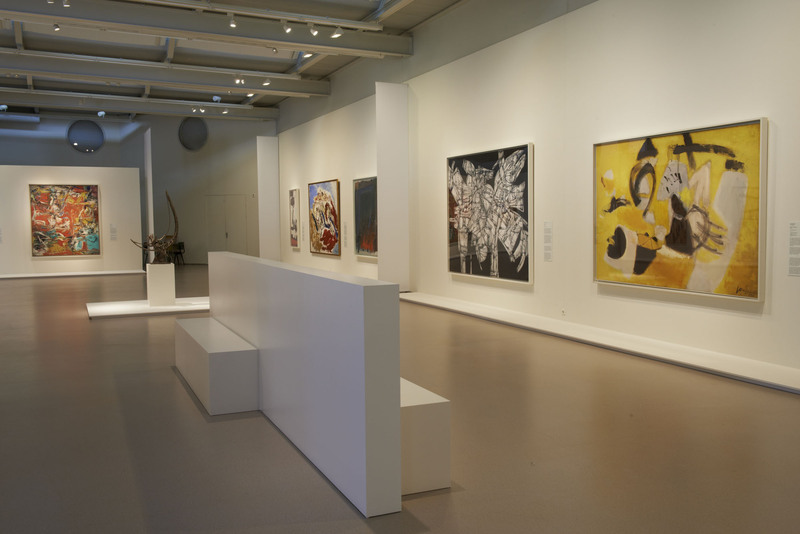 The exhibition is drawn exclusively from the Museum’s Permanent Collection in celebration of their 95th anniversary. It opened December 5, 2015 and runs through April 3, 2016. 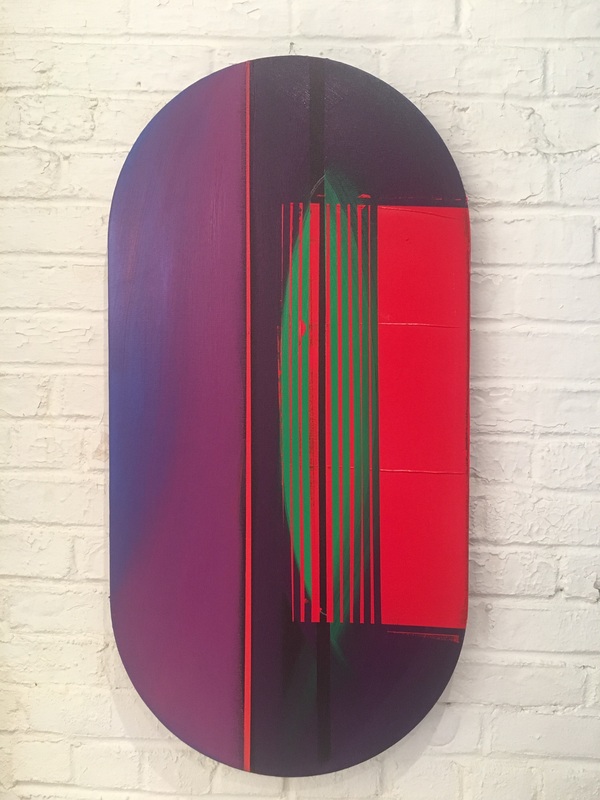 The Art Dealers Association of America features Gallery Artist Kay WalkingStick's exhibition on their blog, Inside Stories. It can be read here. Art critic Kriston Capps of the Washington City Paper writes that “Kay WalkingStick: An American Artist,” now on view at the National Museum of the American Indian, manages to fully explore the artist’s identity as a painter while focusing fully on her art. The review can be read here. A major retrospective exhibition entitled “Kay WalkingStick: An American Artist” opened at the National Museum of American Indian in Washington, DC, on November 7, 2015. It will be on view through September 18, 2016 and travel to other venues, including The Heard Museum (October 13, 2016-January 8, 2017), Dayton Art Institute in Dayton, Ohio (Feb 9, 2017–May 7, 2017), Kalamazoo Institute of Arts (June 17-September 10, 2017), Gilcrease Art Museum (October 5, 2017-January 7, 2018) and Montclair Art Museum in Montclair, New Jersey (Feb. 3–June 17, 2018). A review of the retrospective by art critic Philip Kennicott appeared in The Washington Post and can be read here. Three works, Newsroom, Other Stories and Soto Voce by Gallery Artist Joan Giordano are included in the exhibition, “Whispers” at the Museum of Contemporary of Crete, Greece. The exhibition is curated by Maria Marangou. It opens October 30, 2015 and runs through February 20, 2016. 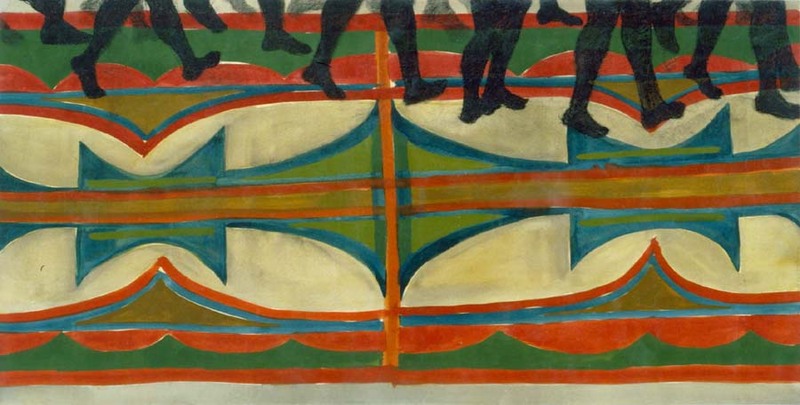 Two works from 2000 in gouache, ink and watercolor on Rives paper in homage to Marsden Hartley by Gallery Artist Frances Hynes are included in an exhibition at the Bates College Museum of Art entitled "Maine Collected: Contemporary Selections from the Permanent Collection." It opened on June 12, 2015, and runs through March 26, 2016. An exhibition that includes paintings by Gallery Artist Bruce Dorfman will be shown this summer at the Convento de Sto. Antonio at Loule, Portugal. They are paintings he created in 1993 when he served as an invited guest artist. They are now part of the museum’s collection. The exhibition, entitled Escola International de Arte Loule: 1993-1997, opens August 13 and continues through September 30, 2015. Critic Roberta Smith of The New York Times writes in a review (April 3) that the relatively small painting “Man With Mask” (1987) by Gallery artist Carmen Cicero at the June Kelly Gallery “is in many ways a perfect painting that some museum should add to its Cicero holdings.” The Times’ review can be read here. The exhibition of new paintings by Gallery artist Julio Valdez is reviewed in the February issue of ARTNEWS. 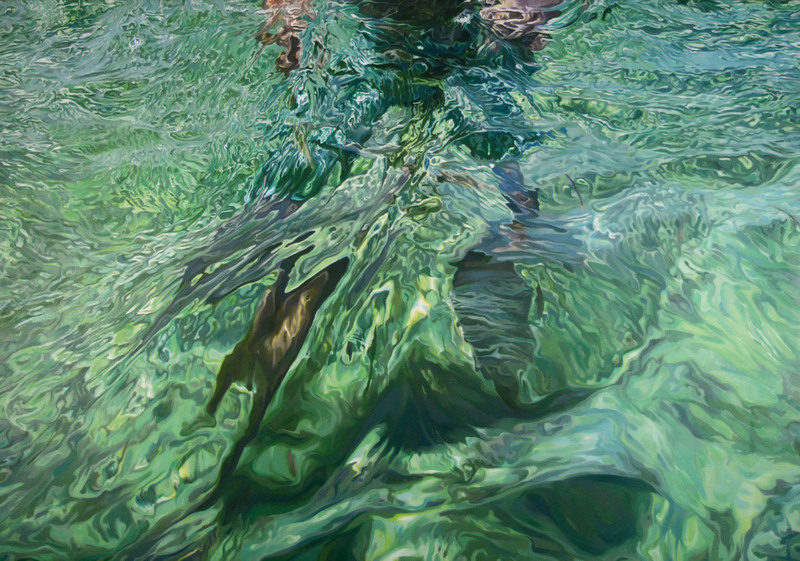 Critic Stefanie Waldek writes that, while the water depicted in each work "energetically danced in dazzling light, there was a subtle sense of isolation and uncertainty throughout--the sensation one has when experiencing the vastness of the ocean and the mystery of that lies in the deep. The review can be read here. Gallery artist James Little has won a major commission from the Metropolitan Transit Authority (MTA) for his design proposal for the new Brooklyn-bound platform at Jamaica Station. The platform will serve those traveling from Jamaica, Queens, to Barclays Center in Brooklyn. 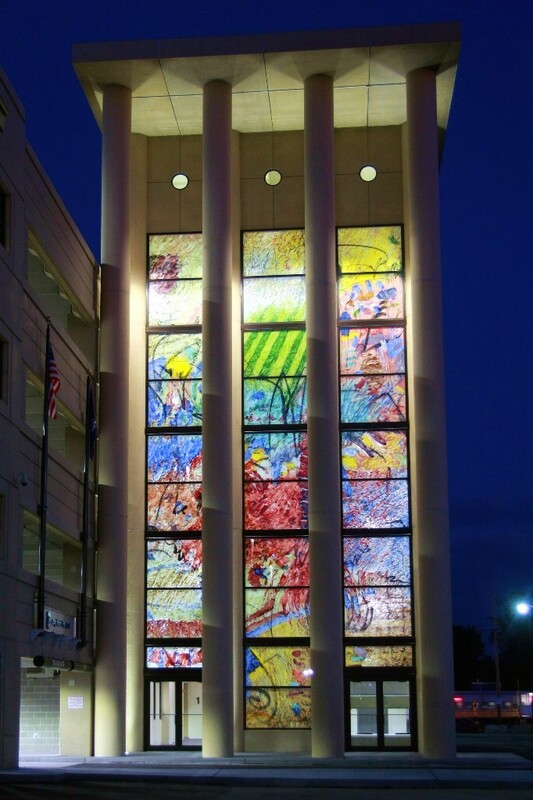 Little’s proposal consists of 33 vertical windows, each 17 feet tall and 5 feet wide, and each with a multi-colored geometric design that he will create. They will be fabricated in Paderborn, Germany. The commission is expected to be completed in late 2016 or early 2017. Gallery artists Stan Brodsky and Bruce Dorfman, distinguished graduates of the University of Iowa School of Art and Art History are showing their paintings and works on paper in a group exhibition at the Figge Art Museum in Davenport from January 31 through June 21, 2015. The title of the exhibition is Eye On UI. Cow and Window, 1983, oil on linen, 74 x 61 inches and Chatham Barns II, 1981, oil on linen, 40 x 50 inches by Frances Hynes have been selected by the Albany Institute of History and Art for their permanent collection. Critic David Ebony calls Lisa Mackie's exhibition at the June Kelly Gallery one of the "top 10 New York gallery shows for September" in ArtNet News as she allows "her imagination to run free in a wide array of abstract and figurative compositions." It's a personal exploration of nature, he continues, in which she uses "an impressive range of mediums and materials, from acrylic-on-silk paintings to resin sculptures, to photography and video projections." Ebony says it is a "convincing mediation on nature and a well-realized homage to all its crazy beauty." (Other shows in David Ebony’s Top Ten are Roman Opalka at Dominique Lévy, Paul Graham at Pace, Nick Cave at Jack Shainman, Roxy Paine at Marianne Boesky, Monika Sosnowska at Hauser & Wirth, Morris Louis at Mnuchin, Derrick Adams at Tilton, Nicholas Krushenick at Garth Greenan, Prune Nourry at China Institute.) The Mackie review can be read here. Two paintings by Gallery artist Bruce Dorfman have been chosen to be part of a larger exhibition of art by the dissident Chinese artist Ai Weiwei that will be shown at the Art Students League in New York October 20 to November 9. Entitled Making/Breaking Traditions: Teachers of Ai Weiwei, the exhibition will also include works by Richard Pousette-Dart and Knox Martin who with Dorfman were Weiwei’s artist-instructors when he studied at the school in the 1980s. The exhibition of photographs by Gallery artist Alex Harsley is reviewed in the Wall Street Journal of July 12-13, 2014.. The critic, William Meyers, writes that "the snapshotlike pictures taken between 1970 and 2012 on the Lower East Side have the sense of history of a family photo album, and much the same sense of nostalgia." The review can be read here. The exhibition of welded-steel sculptures by Gallery artist Rebecca Welz is reviewed in the June issue of ARTnews. The critic, Stephanie Strasnick writes "Welz re-created the majestic creatures and plant life she encountered on her scuba-diving trips--and the results were spectacular." The review can be read here. Rufus Reid, an internationally known jazz bass player, is highlighted in the June issue of ARTnews for a suite of five songs he composed based on the work of the late sculptor Elizabeth Catlett. The article can be read here. A painting by Gallery artist Stan Brodsky has been selected for an exhibition of modern and contemporary art at the Maier Museum of Art at Randolph College in Lynchburg, Virginia, from the museum’s permanent collection. The painting is an oil and paintstick on canvas from 2007 entitled Tuscan Series No. 7 and measures 60 inches by 48 inches. Other artists whose work is represented in the exhibition with Brodsky include Louise Bourgeois, Red Grooms, Elizabeth Murray and Andrew Wyeth. The exhibition will continue through August 24. The image can be seen here. Gallery artist Kay WalkingStick won the 2014 Alumni Achievement Award at the Scholastic Art & Writing Awards Benefit on June 6 at Carnegie Hall in New York City. In 1947, WalkingStick received her Scholastic Gold Key for art as a student at Theodore Roosevelt Junior High School in Syracuse. Past Alumni Achievement Award recipients include John Baldessari, Ken Burns, Truman Capote, Sylvia Plath, Robert Redford, Mozelle Thompson and Andy Warhol. A large painting by gallery artist Carmen Cicero from 1959 is now on view at the Cobra Museum of Modern Art in the Netherlands. The painting was part of the group exhibition, Art of Another Kind: International Abstraction and the Guggenheim, 1949–1960, that was organized by the Solomon R. Guggenheim Museum in New York City. The exhibition in the Netherlands continues through August 31. The image can be seen here. 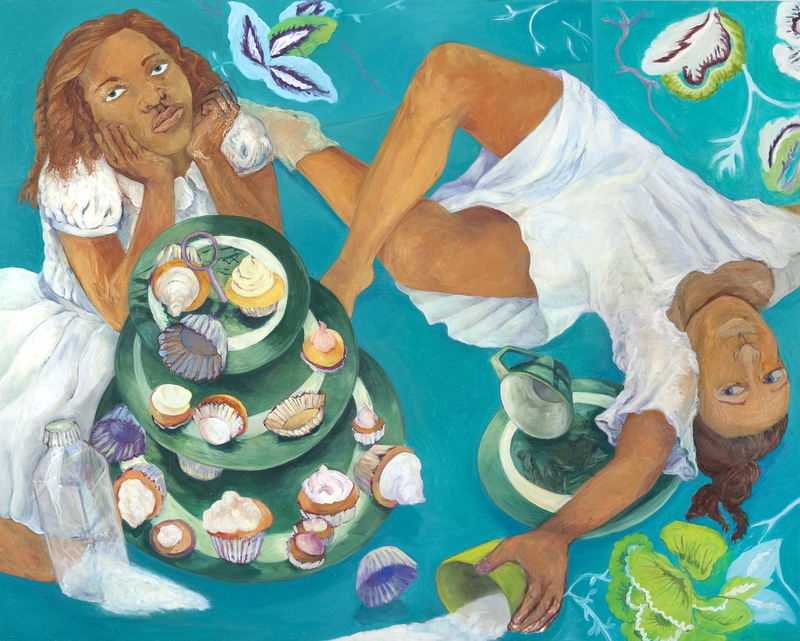 A painting, Sweet Dreams from 2010, by gallery artist Philemona Williamson is included in a retrospective exhibition entitled “Aljira at 30: Dreams and Reality” at the New Jersey State Museum. It celebrates the 30th anniversary of the opening of Aljira, A Center for Contemporary Art. The exhibition includes works by 41 artists and was co-curated by Margaret M. O’Reilly and Carl Hazelwood. The exhibition continues through September 28. The image can be seen here. The Smithsonian's National Museum of the American Indian in Washington, DC, recently acquired a painting by gallery artist Kay WalkingStick. 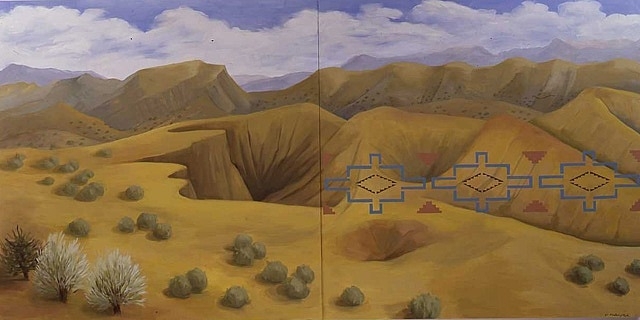 Entitled New Mexico Desert with Navajo rug pattern, it is oil on wood panel from 2011 that measures 40 x 80 inches. The painting was acquired through the gallery. The image can be seen here. The Sheldon Museum of Art in Lincoln, Nebraska, recently acquired a drawing by gallery artist Sky Pape. 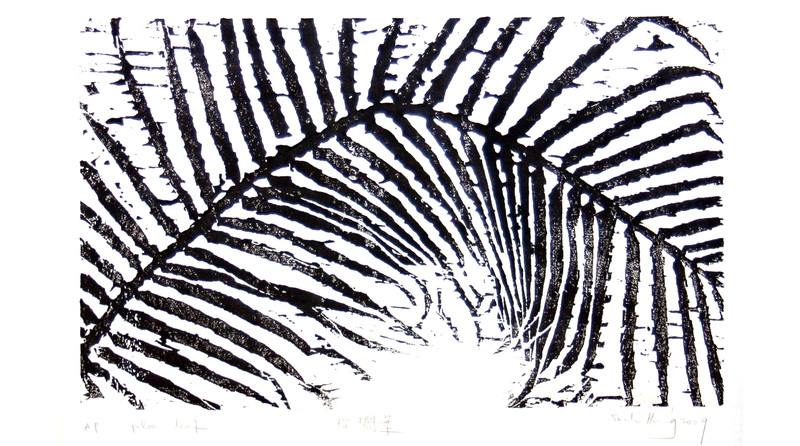 Entitled Unison, it is Sumi ink on Kozo paper from 2000 that measures 51.75 x 30.50 inches. The drawing was acquired through the gallery. The image can be seen here. Gallery artist Moe Brooker has won a commission from the Metropolitan Transit Authority to create 12 laminated glass windows for the MTA's Intermodal Transit facility now under construction in Wyandanch. The windows -- reminiscent of his signature clusters of abstract shapes -- will be fabricated in Munich, Germany, and installed in November. The project has been completed. See photograph. Nola Zirin’s paintings in a recent exhibition at the June Kelly Gallery introduce a “unique, visual dynamism into the genre of abstraction while still reflecting the artist’s signature layering process,” writes critic Jill Conner in on-verge, an on-line publication devoted to “alternative art criticism.” Zirin “transforms time in each piece,” Conner says, “shifting it from the typical angst-filled moment to something other, a sparkling mystery.” The review can be read here. Sky Pape has created an “elegant exhibition” of works on paper for the June Kelly Gallery, that is reviewed in the February issue of ARTnews magazine. The pieces are examples of “expressive and lively art making, somehow celebratory yet born of a certain solemnity,” writes critic Doug McClemont. The review can be found here. A large colorful painting by gallery artist Nola Zirin is highlighted in an article in the December 2013 issue of Architectural Digest. The article is focused on a recently renovated, 20,000-square-foot duplex apartment at the top of a Manhattan high-rise. The painting is an untitled oil on canvas from 2007 and measures 144 inches by 120 inches. It can be seen here. The exhibition of Moe Brooker’s paintings from June of 2013 at the June Kelly Gallery is reviewed by critic A. M. Weaver in the December issue of Art in America magazine. The review can be read here. In an earlier review of the same Brooker exhibition from the September issue of ARTnews magazine, critic Stephanie Strasnick writes that several pieces with their energy and musicality recall Kandinsky’s work, while the gently blended blocks of color in others suggest the influence of Rothko. The exhibition ranges “in intensity, volume and rhythm, much as the music it alludes to does,” Strasnick says. The review can be read here. IN NEW YORK magazine, published monthly primarily for visitors to the city, gave a very positive preview of the Brooker exhibition at the June Kelly Gallery. All of the paintings, writes senior editor, Troy Segal, “possess the controlled exuberance of a skilled musician’s improvisation” with their “fireworks-like bursts of color.” Brooker acknowledges bebop as a major influence and says “spontaneity is a part of my process.” The magazine’s review can be read here. Gallery artist Carmen Cicero and his career are the subject of a new book, entitled “The Art of Carmen Cicero,” by Phyllis Braff, the former art critic for The New York Times. Writers Deborah Forman and Bill Evaul were also contributors. The 192-page hard-cover book, just published by Schiffer Publishing Ltd., contains more than 300 illustrations of paintings, watercolors, collages and other pieces that represent Cicero’s life work. His expressionist art has been variously described as “mysterious,” “surreal,” “fantasy,” and “visionary,” art that creates strange and enigmatic images that linger in the mind. 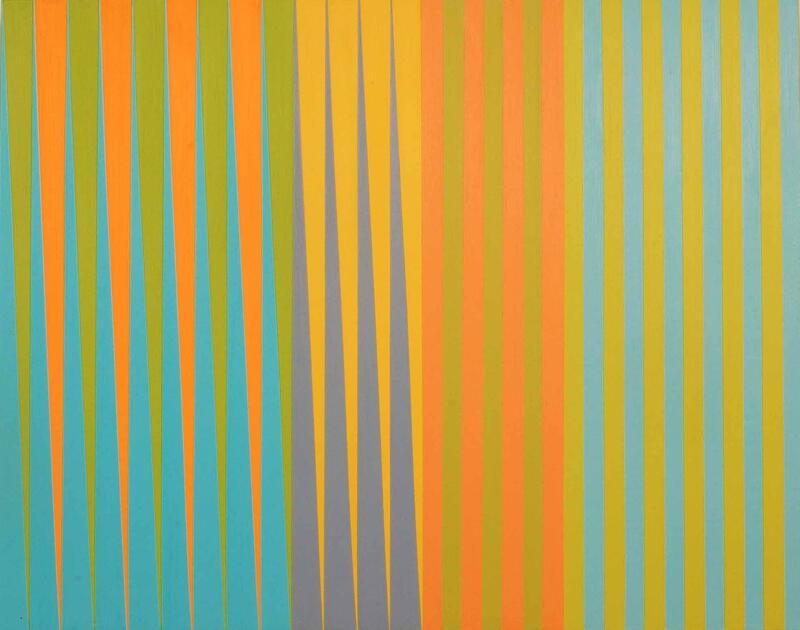 In James Little’s new paintings, writes Holland Cotter in a review in The New York Times, “panels of thin vertical strips are like curtains parting to reveal a center-stage dance of optically charged zigs and zags. … Jazzy but stately is the mood” and “the colors subtler and richer.” You can read the review here. The art critic of the magazine The New Criterion gave a warm review to the latest exhibition of large abstract paintings by James Little at the June Kelly Gallery. The critic, James Pinero, who is also the magazine’s managing editor, cited an essay in the exhibition invitation by art historian Karen Wilkin that praised the paintings’ “ravishing physicality” and said Little’s orchestrations of geometry and chroma “delight our eyes and stir our emotions and intellect.” Pinero also described in significant detail the painstaking process Little uses to produce the work. You may read the review here. Critic Holland Cotter of The New York Times calls the Kay WalkingStick exhibition at the June Kelly Gallery “one of the most beautiful ever by this artist” in a review under the heading “Last Chance.” Cotter’s review can be read here. A painting by gallery artist Karin Batten has been chosen for the permanent collection of the projected National September 11 Memorial and Museum at the World Trade Center site. The piece, St. Paul's Chapel, 2002, is an oilstick on paper mounted on canvas measuring 60 by 36 inches. Batten's studio was on 91st floor of the North Tower. The painting was also used in a new feature film, "Clear Blue Tuesday," about the 9/11 attacks. 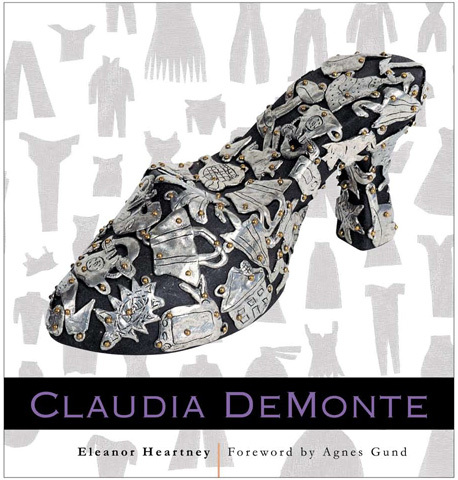 Gallery artist Claudia DeMonte is the subject of a 112-page monograph entitled Claudia DeMonte, with a foreword by Agnes Gund and an essay by Eleanor Heartney. The book, the first retrospective look at DeMonte's career and published by Pomegranate, contains approximately 120 color and black and white reproductions of her work. Autographed copies of the book are available at the gallery for $30.00 each plus shipping and handling. See cover here. 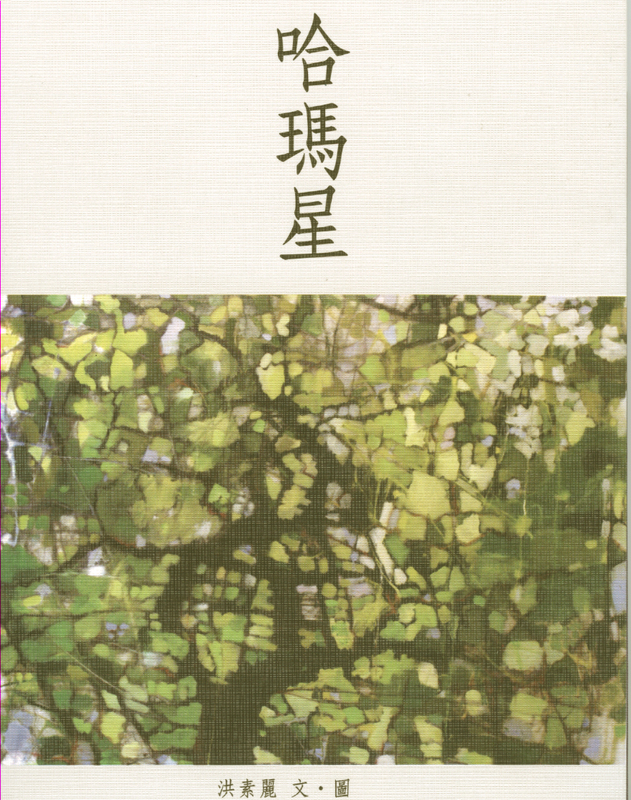 Gallery artist Su-Li Hung has created a 138-page book entitled Hama San that highlights significant events in the area of Taiwan where she grew up. Hung has written four short stories and three essays and illustrated them with woodcuts and pencil drawings. The book has been published in Chinese by Chung-Hwi Publishing Company, Kaohsing City, Taiwan. The cover of the book can be seen here. A number of large public murals that were created by gallery artist Karin Batten or on which she was a collaborator are among those highlighted in a new book, On the Wall: Four Decades of Community Murals in New York City, by Janet Braun-Reinitz and Jane Weissman and just published by the University Press of Mississippi in Jackson. 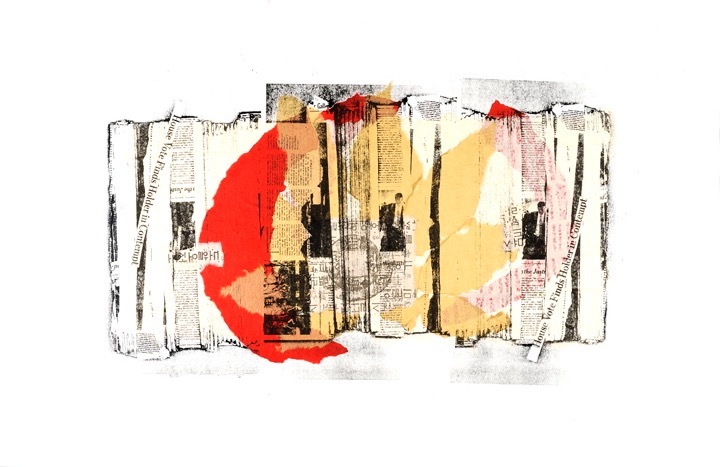 Broadside Print Projects, an organization that supports projects involving artists and poets and writers, has brought together artist Nola Zirin and former U.S. poet laureate Robert Pinsky to create a special portfolio based on Zirin’s paintings and a poem by Pinsky. A 138-page, hard-cover monograph, Mark Alsterlind: Perspectives has just been published by Lucie Éditions, with color plates, an introduction by Yannick Breton, an essay by Jean Golzink and a Q-and-A interview of Alsterlind by Pierre Manuel.